One of my contacts said that NBC producers were scrambling like mad over the last 42 hours to get Twitter to change their mind. They reportedly had some hope as of last night but their prayers were not answered. 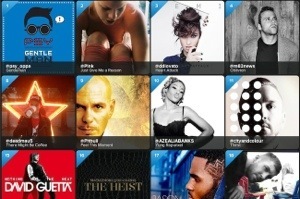 Today, Twitter took to the airwaves on ABC to announce Twitter Music, a new type of music discovering app. Expected to be the next big thing in music, the app pulls music from Rdio, Spotify, and iTunes, the three sites that have large collections. The magic is that Twitter will now be able to deliver music to your specific tastes because of the data it collects from your account. Spotify and Rdio are supposedly doing a jig because their audiences, too, will get a major boost due to the connection to Twitter. This is a win-win for everyone but NBC. No word from CBS so far. Twitter was able to achieve this technology through a startup they bought quietly last year called “We Are Hunted.” Other reliable sources told me that Twitter announced this on GMA because they wanted to go mainstream with the announcement. I find it so odd that Twitter didn’t use its own communications platform to break the news. After all, social media has been trying to convince the world that TV is so yesterday and social media is where it is at. The decision to release this headline news on GMA must mean a lot more than meets the eye. What else is up Twitter’s sleeve? The Twitter Music app is now available in the US, Canada, the UK, Ireland, Australia and New Zealand. You can sign up at http://music.twitter.com. This entry was posted in digital, senior lifestyle, tech and tagged ABC, GMA, NBC, The Today Show, twitter by loiswhitman. Bookmark the permalink.